Aug 16, 2018 in "Jingle Bell, Jingle BAM!" Reservations are now open for the 2018 Jingle Bell, Jingle BAM! Holiday Dessert Party at Disney's Hollywood Studios. 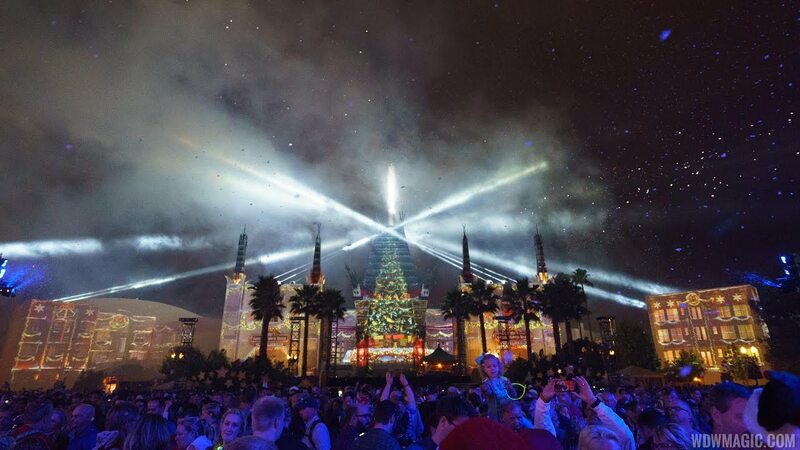 Like last year, a ticket will get you access to a dessert party along with reserved viewing for both Disney Movie Magic and the holiday firework and projection show - Jingle Bell, Jingle BAM! Holiday-inspired snacks will include, desserts, wine, beer, and specialty alcoholic and non-alcoholic beverages. Menu favorites include the classic Yule log, cheese fondue with pretzel bread, and Gingerbread martinis. From November 6 – December 22 and January 2-6, the Jingle Bell, Jingle BAM! Holiday Dessert Party is $79 for adults and $45 for children, with tax and gratuity included. From December 23 – January 1, the dessert party is $89 for adults and $49 for children with tax and gratuity included. Learn more about the Jingle Bell, Jingle BAM! show.